Climbing the Wall | Just Shooting Memories! I was intrigued by this wall when I first saw it. It is on the outside of an abandoned warehouse building. 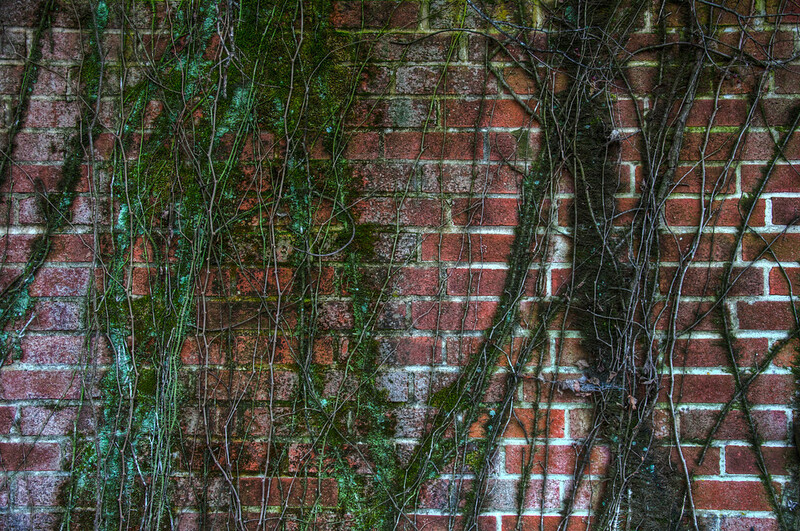 It is hard to believe that one of the walls of the building has fallen down and this wall, with its vines, has remained standing. There are no real cool stories about this, just cool vines.